As far as custom recoveries go, TWRP (Team Win Recovery Project) currently enjoys the position of being the most popular custom recovery around, surpassing the popularity of ClockworkMod and others. 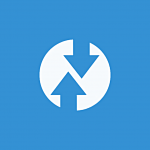 TWRP, like other custom recoveries, makes it easy to tinker with your device, undertake system level modifications with ease, and even restore backups if you do end up messing up your device. For a handful of devices, official support from TWRP also makes it easier to locate the latest official recovery and expect a generally streamlined experience with installation and bug reporting. The Sony Xperia X and Xperia X Compact, the Motorola Moto E4, and the Xiaomi Mi Note 3 have now joined the list of devices with official Team Win Recovery support. Installation instructions for both the devices are rather straightforward. Firstly, you need a device with an unlocked bootloader. You can then use the fastboot command “fastboot flash recovery recovery.img” to flash it to your device. Alternatively, you can flash the recovery image if you already have an older TeamWin Recovery build installed. You can install the custom recovery by either fastboot, or if you have a rooted device, by using the official TWRP app from the Google Play Store. You can also update from an older Team Win Recovery build. Follow along the same standard steps for installation on a device with an unlocked bootloader. TWRP v3.2.2 brings along some long awaited fixes for adb backup functionality, as well as improving the installation of OTA style updates without needing to decrypt the device. It is generally a good idea to update to the latest stable recovery, but make sure you consult your device specific resources beforehand for instructions and other precautions.